I tried logging out and back in and it still looks this way. Also, I disabled the two workshop mods I had to no avail. The only other mods I have installed are Jazzycat mods: AI Traffic Pack, Bus Traffic Pack, Motorcycle Traffic Pack, Painted BDF Traffic Pack, Painted Truck Traffic Pack, Railway Cargo Pack, and Trailers and Cargo Pack. Theoretically those should be compatible with just about everything and have worked fine with ProMods before but if one of them is not please let me know. I have done everything like I always do and never had a problem like this. 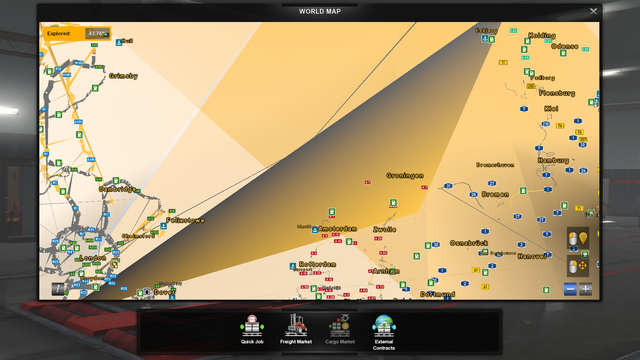 The map is now a random mismash of yellow, grey, and white triangles. EDIT: I disabled all mods except for promods and the problem was still there. Last edited by noahcal11 on 01 Feb 2019 21:44, edited 1 time in total. Can you test with ProMods def on top of load order? 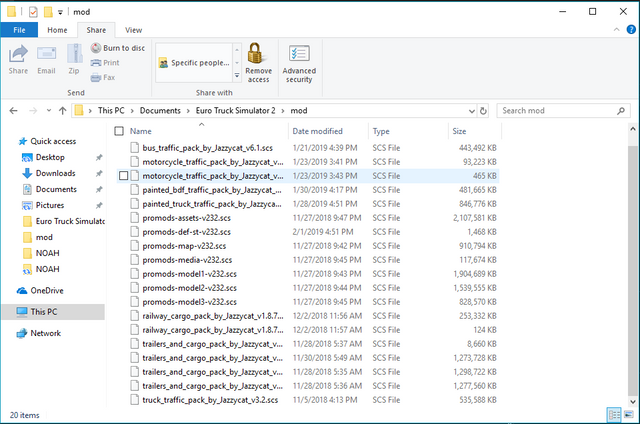 And if the problem is still there, please take a screen of the size of your ProMods files. Your ProMods files look corrupts. I tried that and it still happened. Is the background map normal on a profile without any mods at all? Do a test with ProMods and EBF ETS2 Satellite Map (1.30). Updated 29/12/17? This mod placed at the top. I tested it and it works, altho not updated anymore. Is the background map still a mess? 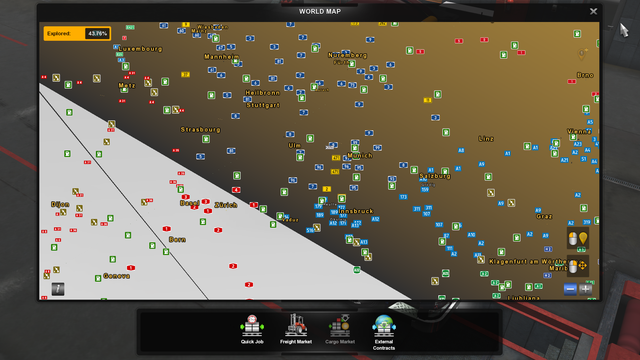 @noahcal11 Can you post a sreenshot of your world map without Promods (just the base map) ?